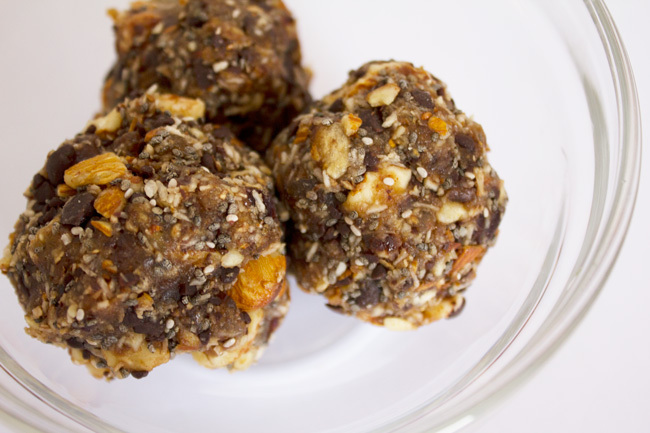 No bake chia date balls- pin now- make later! I'm writing from a completely bare apartment. We leave tomorrow for the USA and these past few days have been crazy. In three days we've packed up and cleaned our entire apartment, transported our stuff to next year's apartment, shut down internet and phone accounts, and cleaned, vacuumed and returned our car. My poor dog has been pacing back and forth, certain that something big is about to happen, and I've been trying to distract him with "hunts" where I hide treats around the house and he sniffs them out. The transition will be over soon enough. Before all this started, however, I was still enjoying the Lara bars I had made and decided I'd experiment with other ingredients. I kept these in the freezer and they tasted like cookie dough, so clearly it was a win. 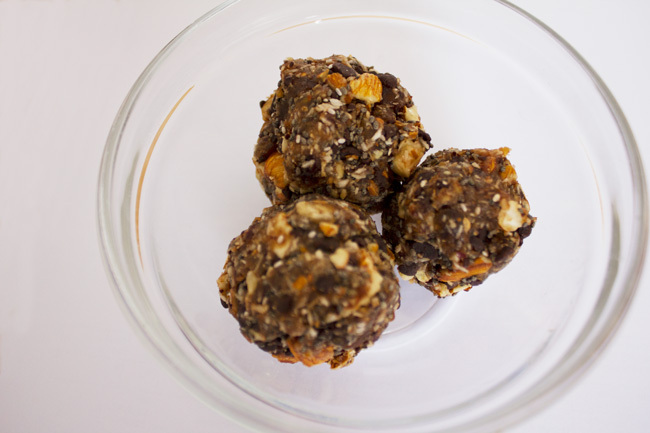 Just as easy to make and assemble as the Lara bar, and equally delicious as a mid-afternoon pick-me-up. Put everything in the food processor and process until it turns into a giant sticky ball. 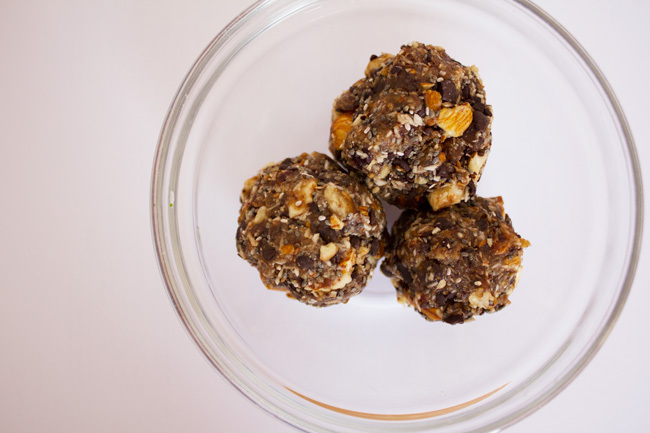 Remove from the food processor and, using wet hands, roll into balls as you would meatballs. If it isn't sticking together 100%, just use a little bit of water. When you've rolled all of them, put them on wax paper, slide them into the freezer and try the first one after fifteen minutes. PS- Some travel horror stories and a happy travel story.